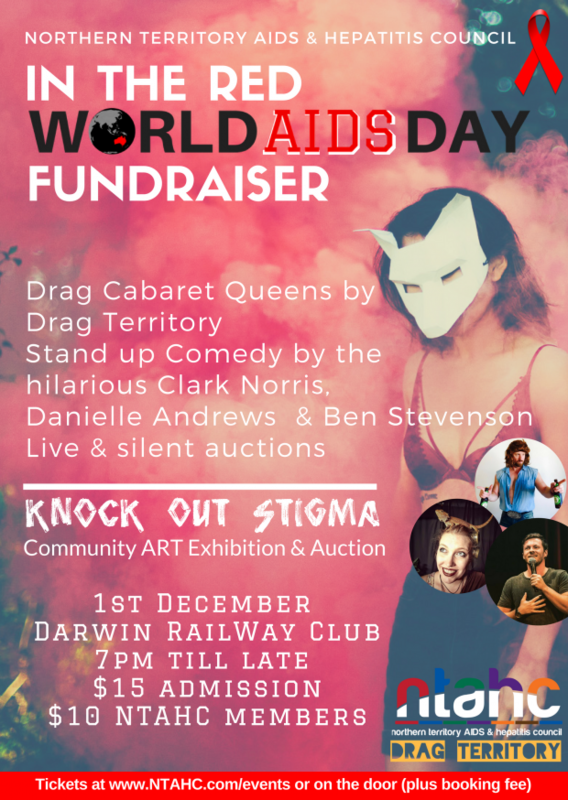 In The Red, will be an entertaining evening of comedy, drag performances and cabaret to raise funds for NTAHC programs and services! In The Red will also serve as a precursor to this year's Community Art Exhibtion, centred on the theme Knock Out Stigma! Tickets are available at the door for $15 - Cash or eftpos. All profits will be donated in support of the valuable work NTAHC provides throughout the NT. *most art work and donated vouchers, gifts will be for sale by silent auction.